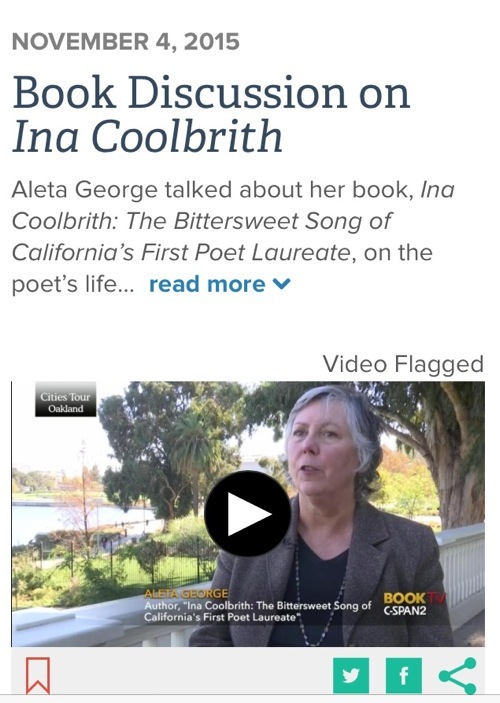 I was honored to talk about Ina Coolbrith for C-SPAN's Book TV Cities Tour of Oakland. C-SPAN's Cities Tours program focuses on the literary life and history of select cities. 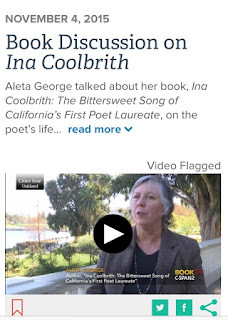 I'm in the good company of Elaine Brown, who speaks about the Black Panther Party; Blanche Richardson, who highlights Marcus Books; Drew Johnson on the Dorothea Lange collection at the Oakland Museum of California; and many more!